The most comfortable, efficient and practical system to join 2 normal bicycles into a tandem. TRAX is a device designed to be assembled at the seat post of any bike allowing it to tow another one. The traction is made by a Kevlar wire and a mechanical system designed to pick it up back and to avoid any possibility to become tangled to the wheel. TRAX is thought to share the cycling with anybody that you want, regardless of the skill level of either rider. At the same time, the easy hooking and unhooking system allows both riders to change from 2 independent bikes to 2 bikes joint as tandem in less than 1 second. Simple and effective are the main premises in which the TRAX design has been based on. TRAX can be installed in less than 1 minute to any bicycle with no tools. The device is designed to be attached to the seat post through 3 standard nylon flanges. A simple knot at the end of the kevlar cable, allows a quick hooking and unhooking on all standard handlebar/stem of any bicycle. Less than 5 seconds without having to stop the way. The simplicity of the TRAX system results in a weight of only 170g. This weight makes it impercetible when it\’s installed on the bike. It also permits carrying it in the bag or in the bike jersey without notice. TRAX opens an endless space of possibilities that you would\’ve never imagine. TRAX opens endless possibilities to share the cycling without barriers! 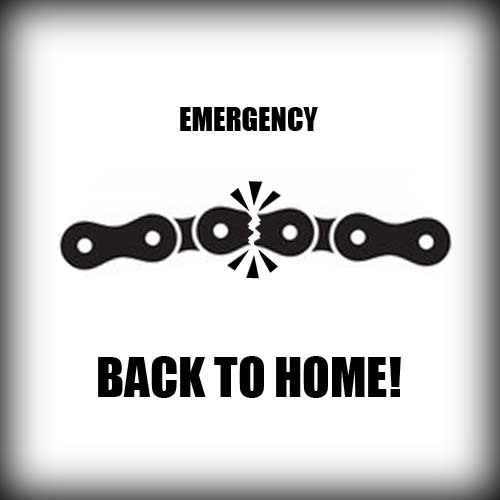 Carry an emergency TRAX \”back to home\” in your bag to be able to tow whoever and whenever, in case a companion has a mechanical breakdown or something happens while cycling delaying the arrival time. In team races where it’s allowed to tow your teammates (aventure raids for example), with TRAX there’s no need to think in anything else. No ropes, no carabiners, no extra bags to keep it.